We are running a Jumble Trail Event in Heptonstall on Monday 29th August. There will be things on at the bowling club for families, as well as bacon sarnies, a good value lunch and bouncy castle for the kids. Anyone wanting to get involved will be given space in the bowling club, or the chance to ‘buddy up’ with some-one along the trail. Please contact Jan Lymer on 01422 847979 or 07772 168812 so we can match you up with someone local. Anyone can come along and raise money for their own cause, or just get the chance to de-clutter the house!! It is going to be a lovely way to while away a few hours over the bank holiday, and the village will be judging its best garden competition on that day too. Heptonstall Lights and Planting Group will be holding their annual Front of House competition later in the year. Get your tubs, pots, hanging baskets, window boxes and front gardens looking lovely and you could win a prize. The judges will be making their decision over the August Bank Holiday weekend. Does the Civic Parish of Heptonstall need its community group? Over the last 10 or so years Heptonstall Forward has been active on behalf of all Residents, putting forward and supporting their views when it has really mattered. 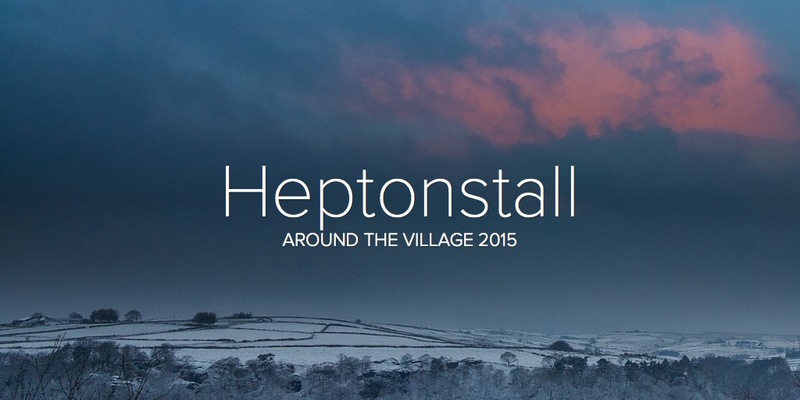 Whether it be planning issues or concerns over speed limits, establishing a newsletter or bulb planting, Heptonstall Forward has taken the Residents’ views forward and represented them at meetings, arranging emergency meetings if a situation demands this. In May 2016 the members of Heptonstall Forward will be retiring, as their brief to produce and oversee the Community-led Parish Plan will be ending, this role being handed over to the Parish Council. So is the community group now to fold? OR should it continue representing the Residents, but with a fresh brief? Does the Civic Parish of Heptonstall need a community group? The Future of the Heptonstall Christmas Tree. For the past 3 years Heptonstall Lights and Planting Group (HeLP) and other volunteers have provided the village with a Christmas tree. A resident in Weavers Square has very generously let us use his electricity for the tree lights free of charge. Understandably this arrangement is not sustainable indefinitely and so HeLP has applied for planning permission to have a power cable installed in Weavers Square to provide electricity for the tree lights and for other existing events. We do not wish this to lead to a mushrooming in the number of events held in the square. HeLP, who will hold the key to the supply, will only grant any additional access to it after proper consultation with residents in the vicinity. HeLP have received a Community Grant from Calderdale to cover the cost of running a cable from the centre of the road under the wall into Weavers Square by the litter bin. Northern Powergrid tell us the work will be completed in half a day to minimise disruption. The power supply will be housed in a small stone box which will be attached to the inside of the wall adjacent to the sign to the toilets, protruding above the wall at about the same height. The box will be 2 ft x 2 ft x 1 ft 4 ins with a lockable door. This can only go ahead with the approval of Calderdale Council. As part of their consultation process they will inform the Parish Council of our application. If you wish to actively express your support send an email Roger Greenwood, Clerk of the Parish Council. We hope you will be supportive of this scheme so we can continue to enjoy having a Christmas tree in the square. It’s all happening in Weavers Square on Saturday 6 December, with a Christmas Tree Sale from 3pm to raise funds for Heptonstall Lights and Planting. Hot chocolate, warm fruit drink and hot chestnuts will be served. The sale will be followed at 5.30pm with the big lights switch on and raffle draw (tickets on sale beforehand in the pubs and on the night in the square. Music will be provided by Hebden Bridge Brass Band. Pie, mince pies and mulled wine will be served. Tickets are now on sale for our Gala Dinner at the bowling club on Saturday 27th September. Food is being prepared by a Michelin standard chef, who has trained under Raymond Blanc, and worked extensively throughout Europe. Dog lover, and talented chef Ian Tiller, has teamed up with Pennine Animal Welfare, to raise money for this charity. Organiser Jan Lymer said: “I would like to raise money to get one of the toilets in the Bowling Club converted to accommodate wheelchair users. Ideally I would like to get the work done, in time for this year’s Christmas lunch at the club for our older generations. “Tickets are only 25.00 each for a stunning 4 course meal, and it is just not possible to eat food prepared by a Michelin standard chef at this price. “You can bring your own wine on the night too, so when we release the menu you can have fun matching it with the food! This is a great chance to dress to impress too!